On Wednesday, December 13, the American Mortgage Diversity Council will present a webinar entitled Women-Owned Small Business 101: Equipping Your Business for Success. The webinar will happen on Wednesday from 2:00-3:00 PM (CST). The American Mortgage Diversity Council (AMDC) is an organization focused on shaping the diversity agenda while advancing solutions that support a broad range of diversity initiatives, from supply-chain diversity to addressing the challenges faced by minority and women-owned businesses. Topics covered at the Women-Owned Small Business 101 webinar will include how to qualify as a WOSB, certification options, benefits and opportunities, marketing your business, and available resources. Representatives from the American Mortgage Diversity Council WOSB Affinity Group will be presenting, including Heather Beers Burt of Beers Housing, Lori Eshoo of National Tax Search, Michelle A. Mierzwa of Wright Finlay & Zak, and Josephine O’Hagan of Heavner, Beyers & Mihlar. 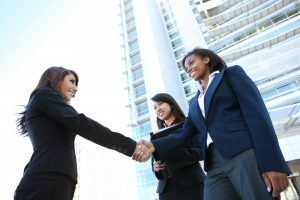 The American Mortgage Diversity Council WOSB Affinity Group is focused on advocating, educating, growing and enabling women businesses to effectively compete and win contracts. You can register for the Women in Small-Business webinar by clicking here. David Wharton has been a freelance writer and editor for over 13 years, contributing to publications such as The Daily Dot, CinemaBlend, ScreenRant, and Creative Screenwriting Magazine. He holds a B.A. in English from the University of Texas at Arlington. He lives in Texas with three children, four dogs, and his wife.